People have their numbers, days and histories. They write them in their diaries. But I have other history engraved in my childhood memories. It’s Newroz day 21st of March which we rejoice its arrival and the carrying soft Spring breezes with it. On this day Kurds wear their special clothes and dance to the sky. I remember when I was a little child, how my family and neighbors rejoice to the coming of the Newroz and everyone was preparing for it. They brought and bought Newroz stuff. Women were enthusiastic and children were waiting for their father to light the torch in the big place of the village or hills. I remember when I was a child, I lit a torch and I was so happy like I sailed in a fantasy world and flew as a butterfly in Spring. Newroz for me is freedom from slavery and injustice. When we light the torch everyone becomes quiet and we feel that we are liberated. This day reminds me of Kawa Haddad, which is considered a national hero. We dance to Kurdish songs. Although we had a problem with the government, we still do Newroz without fear and with joy. Our preparation didn’t stop and all girls and boys prepared for the dance and theatrical performances about the Kurd’s life, history, culture and politics. At the moment I’m far away from most of my family and my country. I might not return there. Lots of things changed like family, friends, streets, weather and everything. 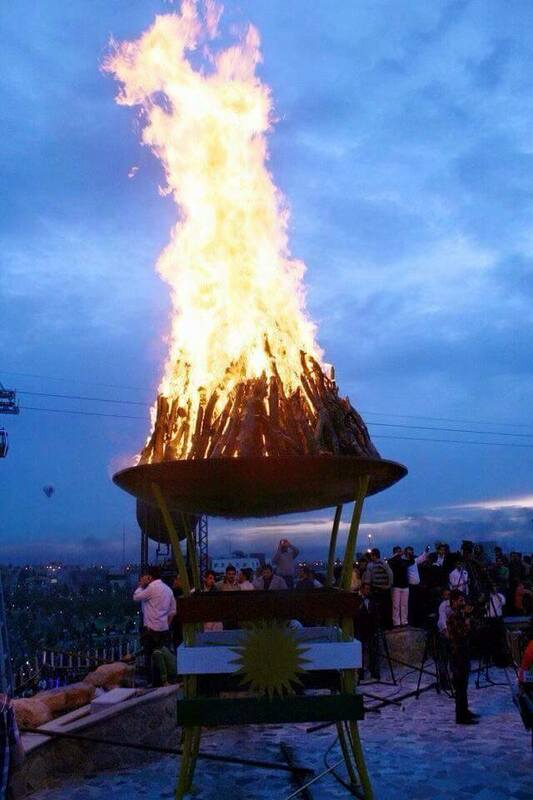 Also things about Newroz day changed, including the weather , memories, places and people who take part. Although I’m far from my homeland I still imagine the nice and good days. I also light candles for Newroz. We do the party here like we used to do in my country.